That roar of the engine wouldn’t be possible without a fully functional transmission. At Glenn’s Auto Repair, we understand that it takes hundreds of small parts to make your vehicle run properly, and each of these parts needs to be maintained. To learn more about your transmission and how it works, read on below. There are two types of transmission depending on your vehicle. Either an automatic transmission, or a manual transmission. The main difference between these two transmission systems is the application of a clutch in manual transmission to change gears and transfer power from the transmission to the tires. In an automatic vehicle, a torque converter provides this feature, with no need for the clutch. A transmission is a crucial part of your vehicle, whether you drive an automatic or a manual, and if you notice any issues arising, it’s important to contact a mechanic as soon as possible. Trouble with the transmission can affect several other areas of a vehicle, making it impossible to drive safely. Grinding, Shaking, and Fluid: When your car shifts gears, it should do so smoothly, especially in an automatic. It should be virtually undetectable, which is why if you notice any strange sensations or sounds occurring as this happens, it’s time to see a professional. A poor transmission can present itself in many ways, including rough shifting. Clunking, thudding, grinding, and difficulty reaching new gears is bad news for car owners. Leaking fluid is never a good sign, so keep a wary eye for red or brown spots in your driveway. Your transmission is sealed up tight and should never leak, so this is a very bad sign. Call a mechanic immediately if any leaks become noticeable. Slipping and Delayed Response Times: Have you ever been driving and felt like your car inexplicably changed gears on its own? This can happen when the transmission slips, making it difficult for your gears to hold in place. This can cause some high-pitched noises from your engine, and a feeling like you can’t accelerate properly. Similarly, if you’re finding a lag between gears when you shift, there could be a problem. Even something as simple as switching from P to R can cause a long lag between the engine revving and the wheels engaging; this again, is due to a faulty transmission. Dashboard Warnings: Your dash lights tell you a lot about the health of your vehicle, which is why it’s important to have them checked regularly during tune-ups. If you notice a check engine light, or any other light associated with the engine or transmission, give us a call. At Glenn’s Auto Repair, our main priority is your safety. Our experienced team is happy to help you investigate transmission troubles and get you back on the road. There are many ways to fix a problem with the transmission, and it all depends on the issue and where it began. In most cases, a small repair job is required, such as repairing a faulty sensor, or fixing a bad connection in the inner CPU. Sometimes, a transmission doesn’t respond because of mixed signals being sent through the computer system, other times, it could be a vacuum leak problem which requires resealing. Resealing requires a little more in-depth knowledge of the inner workings of your vehicle, which is why it’s best to leave it to the professionals. A mechanic will raise your vehicle on a lift, check for leaking fluids, unnecessary gaps, and holes. Resealing the transmission doesn’t necessarily mean removing the transmission, but in some cases, it can be a more invasive process. If your transmission needs to be removed, replaced, or rebuilt, your mechanic might refer to it as an overhaul. In this instance, the transmission comes out and is cleaned and inspected piece by piece. In the best-case scenario, your mechanic will find something small which needs to be cleaned or repaired, so the transmission can be put back into the vehicle. In a worst-case scenario, an entirely new transmission might be needed. For more information on transmission repair, and other services offered by Glenn’s Auto Repair, contact us today. 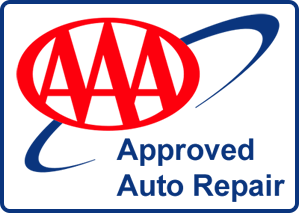 Our friendly team is always happy to hear from new and existing clients, and schedule you an appointment with a trained mechanic at your convenience.